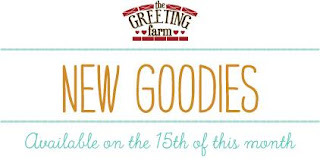 We are on the third day of May previews for The Greeting Farm and we've got a great new set of Littles full of outdoor adventure. 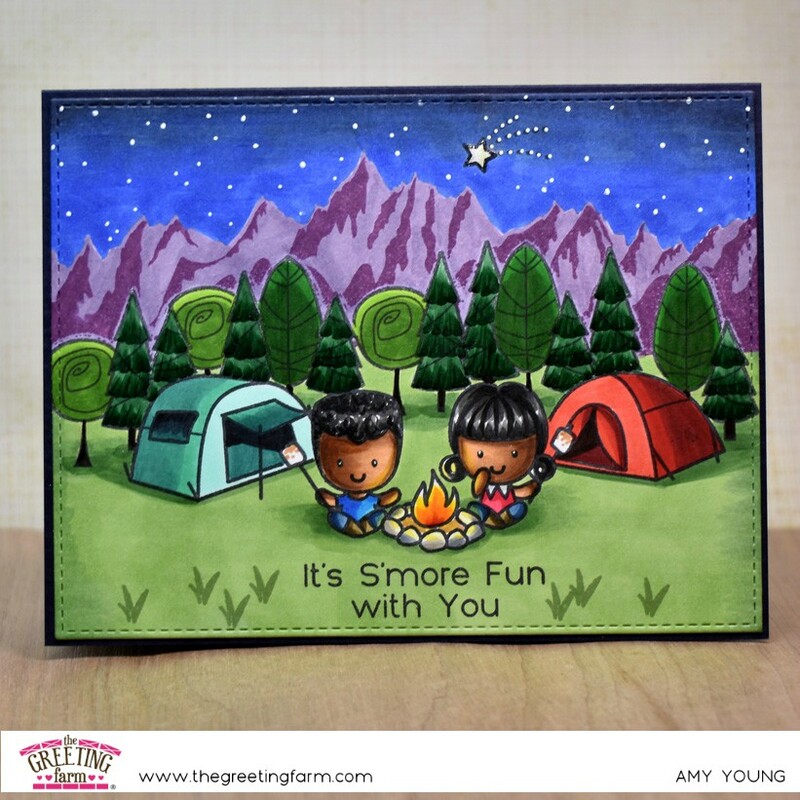 The set is called S'more Fun and it has all the elements to stamp up fun camping scenes for your summer time cards. Included are four cute campers, fire pit, marshmallow on a stick, lantern, grass blades, shooting star, two pine trees, three tents and a trailer along with a few sentiments. So. Much. 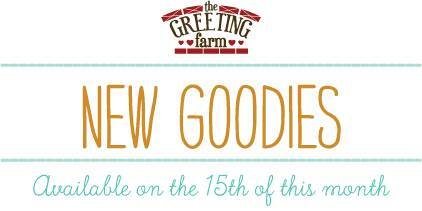 Stuff! The scene building potential with all these stamps is crazy, especially when I added a few extra trees from the Save the Day set. That's another benefit to continue adding to your Littles collection of sets, they are all scaled to mix and match together perfectly. For my first card I really wanted to take advantage of the whole roasting marshmallows over an open fire and create a summer night scene. I'm sure these two are trading spooky ghost stories and having a wonderful time out under the stars.